Maverick Pet Transportation Inc. is named after my beloved pet and friend that travels with me while I am working as an over the road trucker. Currently we are transporting locally within a 300 mile radius of Salisbury,NC. Longer transports can be arranged. We are looking to expand our operation from a one man, one to two pet transport, to a larger family run operation that will transport pets of any size to anywhere in the country, with the safe,love and care that your pet needs.We are 100% all volunteer. We operate on donations, so please donate if you can. Maverick Pet Transportation has created a new grooming and fostering divisiong here in Salisbury,NC. Contact us about our services and discounts. Cant get to there? Cant get your animal groomed because of a scheduling conflict? We provide a pick up and drop off service locally so you can get your pet groomed. Just fill out our request form and we will help schedule your next appointment! Adoptable AnimalsAll our animals have been rescued from high kill shelters or are surrendered directly to us by their previous owner. Come see our adoptable animals. We currently transport locally in NC,VA,SC and GA. A "pet taxi" service is also available locally to the vet or groomer. We hope to add nationwide service soon. This is a good standard, and one that we follow, when finding a lost or stray animal. This is the Rowan County, NC ordinance. Please check your local laws when you find an animal. If you have found an animal in our local area, we can now come out and scan the animal for a microchip. Contact us at (704)202-1203. If you are not local to us, you can search for any microchip number by clicking the petlink.net logo below. Maverick Pet Transportation is proud to be a Partner for Pets! BISSELL and LostPetUSA.net have teamed up to help organizations like ours raise money, and now you can help too! When you purchase pet products on bissell.com and enter the code ADOPT at checkout, a portion of your purchase will be donated to our organization! Help us make a difference. 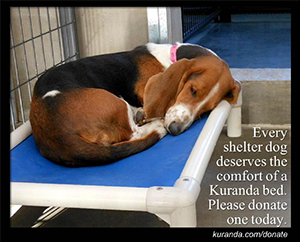 All funds go to provide food, medical care and the transportation of dogs in need. Our volunteer rescue and transportation efforts are funded through donations and contributions. We receive no public funds. Maverick Pet Transportation is a registered 501(c)3. Donations are tax deductible where applicable by law.